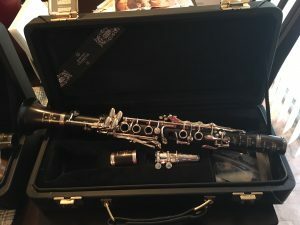 I played a lot of Eb during my time at Baylor University and the Cleveland Institute of Music. 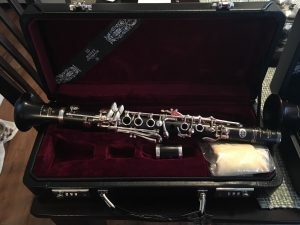 My time on the Eb came to a stop after moving to Florida, partially because I always had to use a school horn and why borrow/share when there were good players who owned their own? Well, I’m happy to say that chapter is coming to an end (hopefully)! 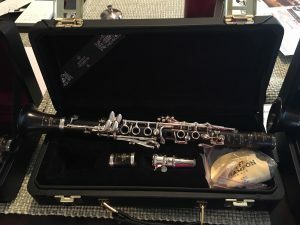 I received three clarinets from Lisa’s Clarinet Shop to try: 2 Buffet RCs and 1 Buffet RC Prestige. I’ve been spending some time with these instruments and am very happy with how well they play. Great sound, great intonation, and great response. I’m looking forward to this trial process! More to follow once I have it narrowed down.